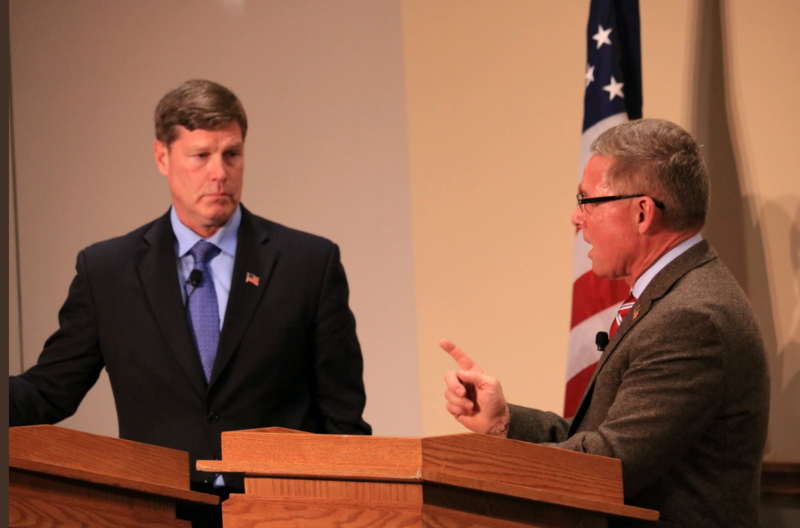 Earlier tonight, Steve Toft faced off with career politician Ron Kind in their first and only debate, winning decisively. Toft highlighted Kind’s failure to protect our veterans at the Tomah VA, his campaign cash grab from Washington special interests and letdown of farmers by not serving on the Agriculture Committee. Media reports over the last several years have documented several instances where Kind’s office received e-mails, letters and calls from suffering veterans. Mysteriously, these contacts were either never recorded, lost or simply forwarded on with no follow up. Additionally, a recent review of Kind’s finance reports shows that nearly 80% of the money raised by his campaign have come from special interest PACs. Toft grew up on a farm in West Central Wisconsin, graduated from UW-Eau Claire and returned to Osseo after retirement. While serving 32 years in the Army, Toft served as a health care administrator. He lives there with his wife of 28 years Carla, together they have two grown children. His wife Carla also retired with rank of Colonel.